In situations such as these, investigations must be strategic and, in some cases, may be mandatory in order to comply with Federal and or state regulations. When legal issues arise, employers are evaluated on the efforts they’ve taken to protect employees and plan for preventable and common workplace issues. This means if an employee has exhibited behavior that could compromise the physical space or employee safety,and the employer did not thoroughly investigate it, they could be liable for many types of claims. Liability equates to financial damages, but can also lead to reputational damage, loss of other employees or increased volume of claims if employees think it can be financially rewarding. Expert workplace investigators know what type of data needs to be collected to best support the case and how to properly collect and retain the information so as to maintain its integrity and chain of custody. Improper collocation and storage of this information can cause a host of problems during litigation or other legal proceedings. The law and associated investigations are a complicated space best left to the professionals. In your investigation of an employee claim, the last thing you want is an associated retaliation claim. To protect against this, it’s important to conduct the investigation in a manner that protects the employer from these types of claims.A skilled investigator will understand techniques in data collection and workplace interviews that will have as minimal impact as possible on the workplace. As an outside neutral party, they will be more equipped to obtain necessary information to prepare your case for a strong response, while protecting you from further damages at the same time. Electronic evidence must be obtained and maintained in a certain manner so that the methods are demonstrable, the results are replicable and the output is admissible. An investigator certified in computer forensics and digital evidence will is positioned to get the necessary data in a manner that will maintain its value to your case.. Investigators understand how to work with popular social media platforms to extract data. In addition, they are aware of time restrictions on physical evidence, like security camera footage, and how to obtain it from cameras that you do not own but are near your property. Business leaders could spend a large amount of time educating themselves on the best ways to collect evidence and miss the window of collection or do so in a way that could render the information unusable for your case. A good investigator will work fast and smart to retrieve all of the available information that you need to take control of your case. What was once a little graffiti in the bathroom of your office is now a full-scale harassment case against your company and you are to blame! This scenario sounds dramatic but is a real life case that happened to a leading car company, resulting in an award of $4M to an employee. The reason the company lost: it was decided that they knew of the issue and did not take reasonable measures to stop it. 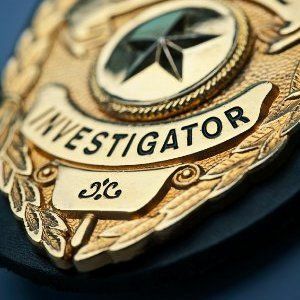 Having an Investigator on call or on retainer can mean that your business is able to follow up on matters quickly before they turn into big cases with large payouts. The responsibilities of an investigator and security expert shouldn’t be assigned to a novice – your Marketing Manager wouldn’t try to fix a server issue, right? Focus on what you do best, operate and grow a dynamite company! Investigations and security firms are the other set of eyes watching the lesser known liabilities of your company so you can keep your eye on the prize. The return on your investment may be much quicker than you think.